Primers are one of those things that I only really discovered about a year ago, and, for the longest time I have used the exact same one. However, after a few sample sizes fell into my grasp I decided that maybe the time was nigh to switch up my standard go-to for something a little better - which of course called for an entire blog post to be written discussing the yays and nays of each one. Now as I'm sure some of you are aware, my skin type is definitely oily, so what I look for in a primer is something to make my makeup stay in place and if possible keep the oiliness at bay for as long as it can. I don't want something coloured as this just adds another step into my morning routine of foundation blending that I really don't need or have the time for. So I've selected three clear primers: one high end, one drugstore and one in the middle. Because I've been using the Rimmel Fix & Perfect the longest, I think I'll start here. This is the cheapest out of the three retailing at £6.99 for a 30ml tube which I can say probably lasts me for about three months. Naturally if you're looking for a budget friendly beauty buy I would highly recommend as this feels lovely and soft on the skin, blends nicely and definitely adds to ease of application of foundation. Out of the three I would say this is the middle ground in terms of texture: the MAC one is thicker and more silicone like whilst the No7 is fairly runny. I would probably recommend this more to you lovely ladies who have drier or 'duller' looking skin as it has an almost iridescent sheen that really brightens up my complexion. Now onto the No7 Instant Illusions. I think they've changed the packaging of this one since I received my sample and I'm going to be honest with you: it's god-awful! Seriously, I'm not sure who was in charge of creating the new look, but it looks like a budget fake tan gone wrong. However, we're not here to judge (well, we kinda are) so I'll give you my first impressions of our middle ground product. This primer retails at £16.50 for a 30ml tube so it is considerably more expensive than the Rimmel one. It also claims to aid with the appearance of fine lines and wrinkles, which thankfully isn't something I suffer with just yet. As I mentioned above this primer as a more runny, moisturiser like texture to it which I've found doesn't work too well with my oily skin. Naturally it feels lovely to apply and has a gentle, fresh scent to it however by lunchtime my skin was looking shiny and was in need of a serious blot and reapplication of powder. And lastly, our high end primer: MAC Prep and Prime retailing at £29.50 *chokes on tea* for a 50ml bottle, which firstly is considerably larger than the other two. But, yes, there is no escaping the fact that this is a lot more pricier than the others, so before purchasing a full size I'd want to be sure of the results. Of the three this is the thickest formula and definitely feels more luxurious when being applied your face. It doesn't really have a scent to it at all, but unlike the other two, it has a slight tiny of rose in the colour, which honestly I hadn't even noticed until shooting these photos! 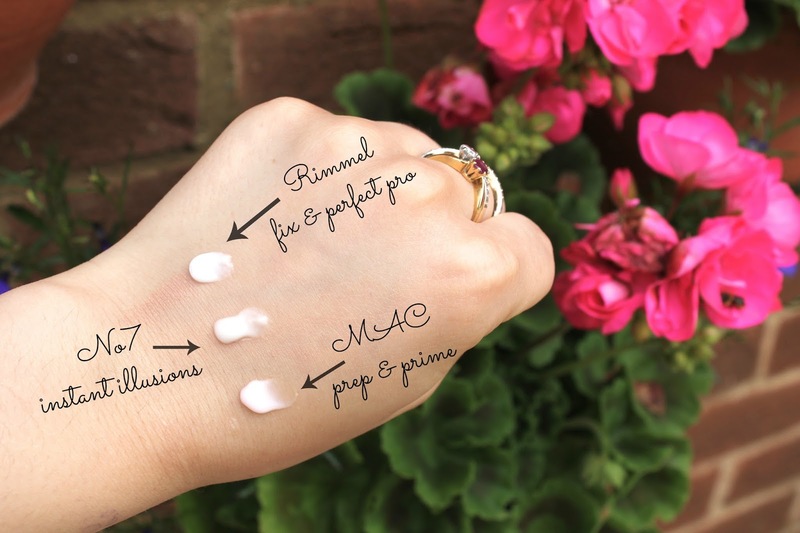 MAC claims that this primer is specifically beneficial for oily / combination skin and I would have to agree. 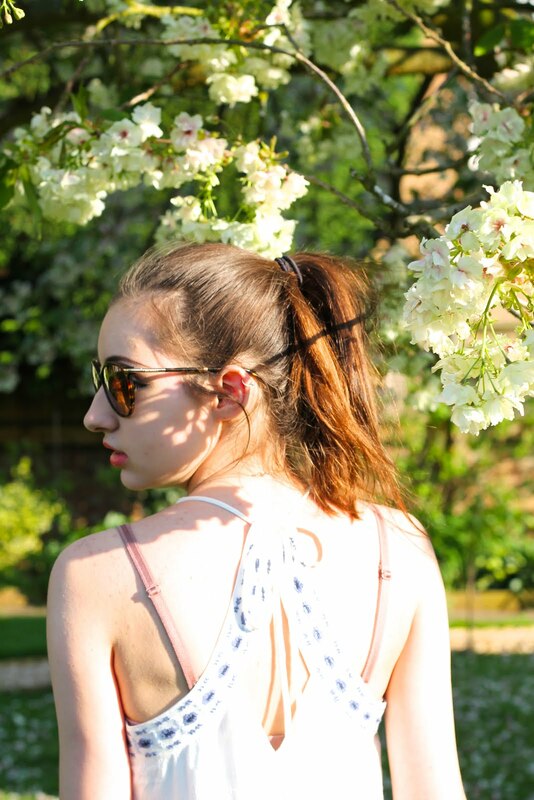 Whilst my skin is still getting oily (don't think I'm ever going to escape that tbh!) it's less noticeable and almost looks like a highlight (yep totally intentional) instead of just shiny and gross. I mean, is it a miracle product? No. Would I repurchase? Still undecided. It is a lovely product but is it worth the full price, I don't know. Whilst I can't say that I've found an absolute holy grail product within these three, I do like them all for different reasons. Firstly, the Rimmel one is super inexpensive though I would recommend this more for drier skin types as I really don't need any help illuminating my face! Next up No7: for me, this is probably the most disappointing. It didn't help at all with oiliness and whilst the initial feel of it on my skin was nice, I couldn't justify the price at all. However I do think this is marketed to more mature skin, so maybe that's why I'm not feeling the effects. And last but not least MAC. I'm genuinely quite torn because as much as I'm enjoying using my sample size, would I pay full price, I'm not sure. So out of the three this is definitely my favourite, closely followed by the Rimmel, with No7 bringing up the rear! If you've used any of these primers please feel free to leave me your thoughts, or if you've got any others - high end or drugstore - that you'd recommend then I'd be super grateful! Ahh I just bought a primer from Topshop of all places - pretty decent, even for oily skin tones like mine! Think I'll give the Rimmel one a go next. Maxfactor do a good one too, has SPF too. My pencil eyeliner doesn't budge when I have it on! The price of the MAC prime makes me want to cry but it sounds amazing!